CBD hemp oil is one of the fastest growing health products on the market today. Already a $100M industry, hemp CBD is expected to grow over 700% by 2020! With massive, growing marketing demand, and the world’s leading CBD brands like Real Scientific Hemp Oil™, adding CBD to your offerings for your patients or customers is a smart business decision. The science behind CBD and other cannabinoids is undeniable. It’s amazing what CBD can do for the body. That’s why organizations everywhere are incorporating CBD and full spectrum hemp oil into their formulations. CBD is becoming a highly sought after ingredient in nutritional supplements, foods, cosmetics, hair products, skin care products, anti-aging products, pet care products…and much more! If you are interested in formulating with CBD or full spectrum hemp oil, contact us. The domestic and global CBD markets are set to explode in coming years, as more and more businesses and consumers discover the potential uses of this incredible plant. One of the fastest growing segments of the hemp industry is the CBD hemp oil market. 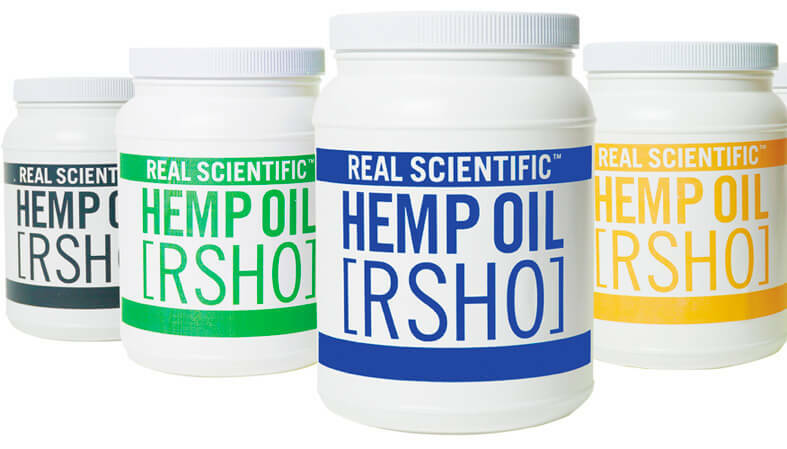 As a wholesaler, you can offer Medical Marijuana, Inc.’s world renowned CBD oil brands, like our Real Scientific Hemp Oil™ and Dixie Botanicals®. Our products are sold at many health clinics, wellness centers, health food stores, and dispensaries around the country, and have achieved national media attention, with features on ABC, NBC, CBS, CNN, Fox News and more. Those looking to formulate new CBD products can also purchase our safe and reliable pure hemp oil and isolates in bulk to create their own products. 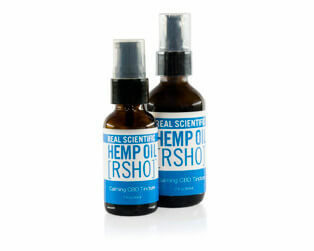 Our hemp oil’s dependable consistency and purity is just what you need to create the products your customers will love. Medical Marijuana, Inc. offers a number of product types through our internationally recognized hemp oil brands. Giving our customers the variety of choice they need to find the perfect CBD product for them. 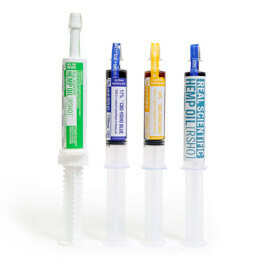 Our pure hemp oils are extracted from the hemp plant using supercritical CO2 and packaged with no additional ingredients in our easy to dispense oral applicators. Our pure hemp oils come in three options: non-decarboxylated, decarboxylated, and filtered. Decarboxylation is a process in which the hemp oil is heated in order to convert the oil’s CBDa into CBD. These pure hemp oils contain our highest levels of CBD per serving. CBD isolate further processes our hemp oil, purifying it to a 99 percent CBD powder. This pure CBD isolate is then used to create Medical Marijuana, Inc.’s THC-free RSHO-X™ products. CBD isolate is also available in 1 gram containers and can be purchased wholesale or used to create your own customer CBD products. 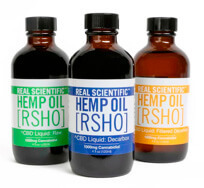 CBD oil liquid is made by combining our pure hemp oil with MCT oil for a mid-potency product that combines the benefits of pure RSHO™ hemp oil with the ease and portability of tinctures. Because RSHO™ Liquid is made using sustainable coconut and palm oils, it can easily be added to your favorite foods and beverages or taken on a spoon. While our pure hemp oil is our most potent product, our tinctures are our least potent. Made with the same hemp oil as our other products, our tinctures are mixed with vegetable glycerine or medium-chain triglyceride (MCT) oil to give them a thinner consistency and lower overall strength between 1 mg and 10.5 mg per serving. 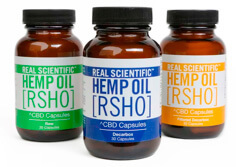 Several of our brands carry CBD oil capsules. Created using the same CBD oil in all our products, our CBD oil capsules contain 25 mg of CBD each for a convenient, highly portable CBD oil product. 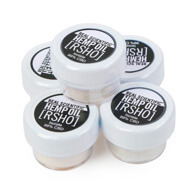 CBD oil topicals also include skin and hair care products. Featuring moisturizing lotions, cleansers, shampoos and conditioners, toners, and serums, these products provide skin and hair with the benefits of CBD oil. These products are further enhanced with a natural botanical blend of ingredients formulated to pamper and protect the skin and hair. CBD oil vapor products provide users with an unadulterated, natural CBD vaping experience, by combining sustainable CBD hemp oil, MCT oil, and natural terpenes for flavoring. When the battery is engaged, an atomizer in the vape heats the CBD oil to its vaporization point, which can be inhaled as a smooth vapor. 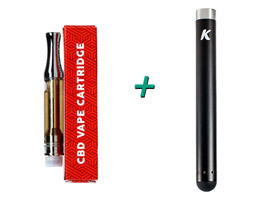 Our super-slim vape, about the size of a ballpoint pen, slides discreetly into your pocket or purse for vaping on the go so that a serving of CBD is always just a puff away. Our products and brands have been featured in major news and media outlets like Forbes, ABC, Fox News, the BBC, New York Times, NBC, CBS, Bloomberg, and more. With all this attention, your customers may already be looking for our brands! Medical Marijuana, Inc. offers also offers bulk CBD oil and CBD isolate, allowing you to custom formulate your own CBD-infused products. We offer three different types of CBD oil for formulation, as well as 99 percent pure CBD isolate. Medical Marijuana, Inc. bulk CBD oil and isolate can be formulated into a wide variety of products to make nearly any item in your shop CBD-infused. Whether it is essential oil blends, topically applied salves, flavored CBD oil tinctures, infused coconut oils, bath and body products, vaporizer e-liquids, pet treats, transdermal patches, and edible goods as diverse as candies, coffee creamers, supplement powders, and other assorted foods and beverages. Medical Marijuana, Inc. bulk CBD oil and isolate make it easy to get started formulating your own CBD-infused product. There is no better time to enter this industry, with CBD becoming more popular every single day. Here are just a few of the products you can craft using CBD. As the public’s understanding of the benefits of CBD increases, so does the size of the CBD hemp oil supplement market. People everywhere are looking for ways to add CBD to their system. CBD oil supplements that can be crafted using our CBD oil and CBD isolate include tinctures, capsules, lozenges, sublingual sprays and more! More and more, restaurants, bars, and cafes are infusing their offerings with CBD. Both CBD oil and CBD isolate can be integrated into a wide range of foods and beverages. Some of the most popular foods to add CBD to include fresh juices and smoothies, candies, cooking oils, salad dressings and more. From balms, lotions, and salves to massage oils and more, CBD can be added to a wide array of topically applied products. 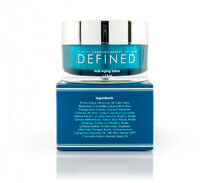 Because these products are applied to the surface of the skin, the active cannabinoids in these types of products are never absorbed into the bloodstream, making them a popular first experiment for many CBD users. Bath and body products, including cosmetics, facial cleansers, shampoo, conditioner, exfoliators, anti-aging serums, and moisturizing lotions, can also be enhanced by CBD. Like other topical use products, the cannabinoids found in infused bath and body products are absorbed by the skin and interact with endocannabinoid receptors in the skin. CBD oil and CBD isolate can be mixed with a number of mediums, including MCT oil or glycol, and a range of flavors to create a smooth, enjoyable CBD vape experience. Featuring one of the highest bioavailabilities available to cannabinoids, vaporizing is a fast and efficient way to add CBD to your system. Just as all humans have an endocannabinoid system, so do all mammals. Because of this shared system, animals like cats, dogs, and even horses can gain from CBD’s beneficial effects. CBD oil and CBD isolate have recently been finding their way into pet care products, like infused-treats and topical lotions, and have become one of the fastest growing sectors of the CBD market. In this growing CBD industry, it is critical to purchase your CBD oil products from a source you trust. Medical Marijuana, Inc. is an innovator in the CBD oil industry, creating important quality assurance measures to guarantee we only ship the safest and most reliable CBD oil, isolate, and finished products. We continue to have the most rigid quality standards in the industry to ensure we remain on top of this competitive market. Medical Marijuana, Inc. has been retailing our CBD hemp oil since 2012, when we first expanded into the market, filling a need for high quality, internationally available products. Since then, we built the first hemp oil global pipeline, importing our hemp oil from Europe and exporting our products to customers around the globe. We have worked to refine this pipeline, improving our methods and learning from our years of experience. This has helped us to become the source for thousands of CBD customers worldwide. It is important for the health and safety of your customers that you only source your CBD from a company you can trust. How do you know you are getting the highest quality CBD oil? Medical Marijuana, Inc. takes the necessary steps to protect your end users from the negative effects of contamination. All our plants our cultivated free of herbicides, pesticides, and chemical fertilizers to keep harmful residual contaminants from marring our hemp oil. To further ensure the safety of our products, we have created our Triple Lab Tested™ standard of quality assurance. Each of our products is tested three times before being shipped to our customers, checking for contaminants like mold, mildew, toxins, and heavy metals, as well as verifying the accuracy of our cannabinoid content. Lab results can be requested by wholesalers to confirm testing before purchase. When you work with Medical Marijuana, Inc. as a wholesaler, you can be confident that the bulk oil or finished products that you purchase from us are safe and reliable. We back this assurance with our best in the industry customer service. Your dedicated account rep will work with you one-on-one to ensure that you receive the products that work best for your company’s needs. Please enter your information below and a representative from HempMeds®, our wholesale and bulk CBD distributor, will contact you within 24-48 hours.